^ Larsen, Clark S. Our Origins: Discovering Physical Anthropology 2. Norton. 2011: A11. ^ Schluter, Dolph. 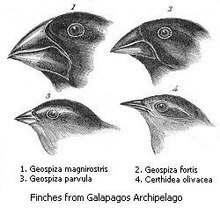 The Ecology of Adaptive Radiation. Oxford University Press. 2000: 10–11. ISBN 0-19-850523-X.